Cool your jets, I'm not going down that route. Do people still care about the answer to that question? Maybe they do. I sure don't - just games, innit? Sometimes they're great, sometimes they aren't. Sometimes they pick you up, and other times they slam you down. They can be both creatively genius and creatively bankrupt, original or derivative and, very occasionally, they transcend their own media as a masterpiece. As long as they keep coming out - and we get plenty of good ones - who cares, really? But I bring it up as today I'm reviewing GRIS, a new title from Spanish developer Nomada Studios and published by those naughty scamps at Devolver Digital, always with an eye out for the weird and wonderful titles in video gaming. 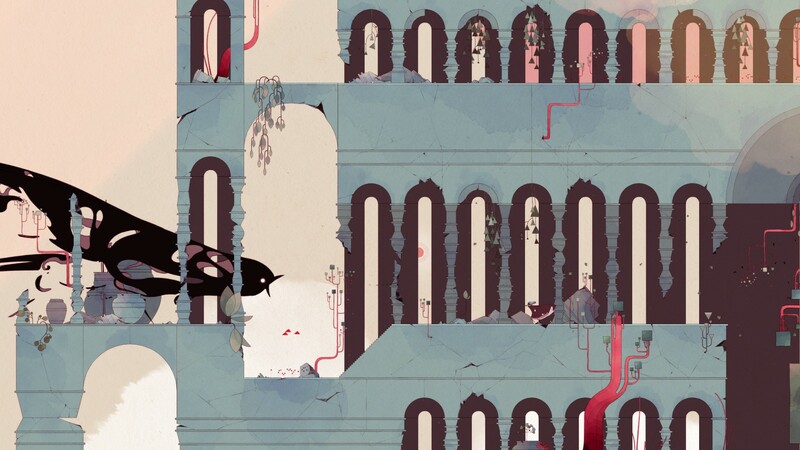 GRIS is most definitely the type of game to make folk stroke their chins, look to the skies, and muse: "Are games art?" But, while they do that, let's you and me take a journey through Nomada's mysterious watercolour world. This is a particularly tough review, as GRIS is almost entirely abstract in content. To talk too much about its design, character, story, and progression would give too much away. A puzzle-platformer best gone into dark, GRIS is a reconstruction of the titular girl, who has been broken by some unknown force or event. Garbed in a flowing cape, and having lost her elegant, beautiful singing voice, young Gris must make her way across a bizarre landscape, filled with metaphor, psychological threat, and denial. Gameplay consists of the player guiding Gris through an ever-evolving landscape, negotiating platforms, solving puzzles, and gathering lonely stars to fill out constellations, unlocking abilities to help our hero access new areas. GRIS is no metroidvania, though. The game takes place on one large labyrinthine map, but follows a more linear trajectory than most "open-world" platformers. HUD-free and featuring zero dialogue, there are no fail states in GRIS. Our stick-legged protagonist cannot die. The only possible hindrance would come from being stuck in a puzzle or perhaps getting lost in the environment, though the latter is unlikely due to GRIS' excellent map design. More often than not, instinct will guide you in the right direction, with many solved puzzles and unlocked items then leading beautifully back to the crossroads. While GRIS is definitely more an "experience" than a "game," player agency, interaction, and lateral thinking are all necessary throughout. Its platform negotiation and puzzle-solving elements prevent GRIS from being classed as a "plays itself" title. Already in the top-tier category for visuals from its title screen forward, the exquisite world of GRIS only gets more evocative and alluring as the story progresses. 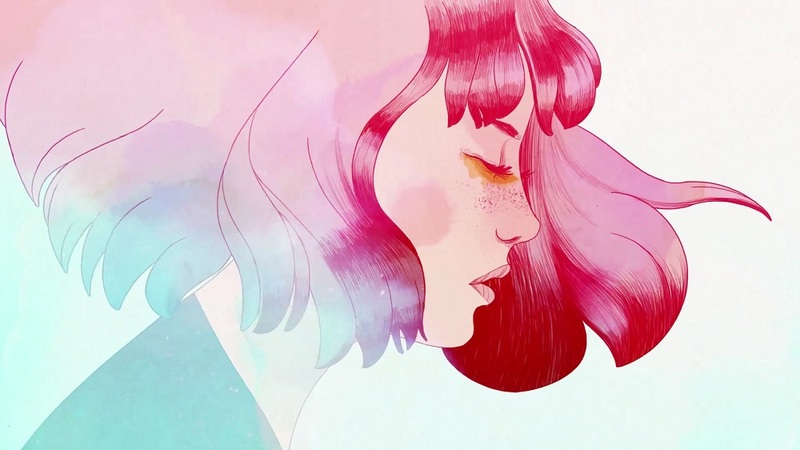 The entirety of GRIS is simply stunning. From first shot to last, it is dripping in beautiful animation, clever use of the camera, and splashes of colour for both atmosphere and emotional signposting. GRIS is a gorgeous game, and among the best-looking I've played in recent years, only improving as its starkly-cast figure pushes on with her desperate journey. Matching these visuals is an equally amazing score from composer Berlinist - luscious, layered melodies which dynamically attune to reflect the on-screen action. Berlinist's music is, at any given moment, haunting, uplifting, and heartbreaking - easily one of the most vital components to GRIS' overall experience. Detail has been paid to sound, with floor textures, brutal weather effects, and even the world's sparse-but-strangle wildlife blended perfectly into the audio atmosphere. As you may have noticed, I've doubled down on the aesthetic descriptors in this review, with the intention of pinpointing their importance to the adventure. 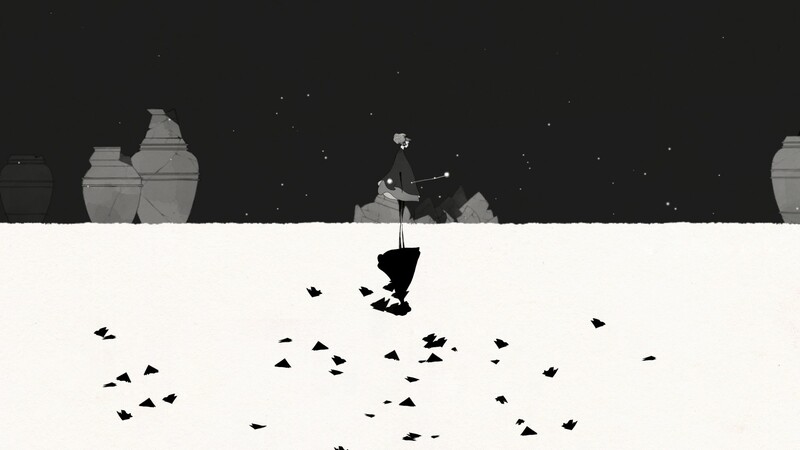 I played GRIS in a darkened room with headphones on, and it was a video game journey that sent me on a roller-coaster. With its bleak themes, moments of defiance, and the visual beauty of the world itself - all underlined perfectly by a score choreographed to hit the right notes exactly when it mattered - GRIS never missed a beat. Other games have trodden a similar path, but often stumble. GRIS doesn't stumble. Like its vulnerable hero, it just keeps pushing forward, from one obstacle to the next. I admit to being vague on GRIS' plot, world description, or gameplay arc, but it's an intentional decision. GRIS is, essentially, completely abstract. Be aware of this. There are clues, metaphors, and themes, but you won't be given answers. You are to play through the game and decipher its tale for yourself. I have my own theories but, like some of Ingmar Bergman's best films, the interpretation is left to each individual audience member. I played through GRIS in a single session, with credits rolling in around four hours. At this point there was still work left to be done, as I hadn't gathered all of the stars and mastered each of the map's areas. 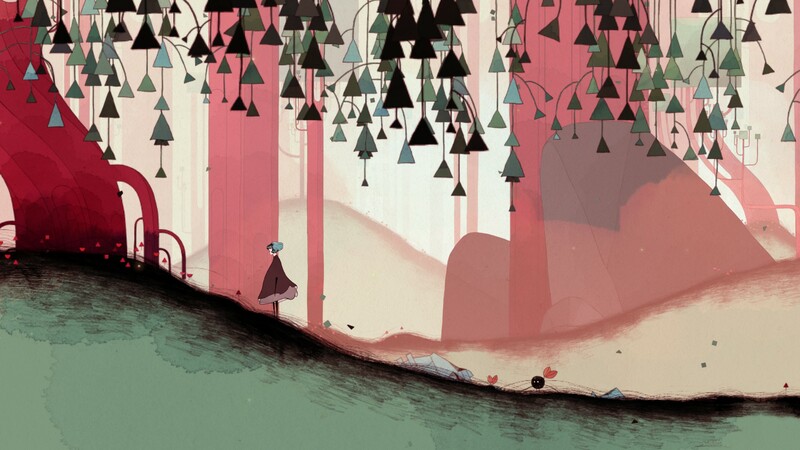 Ultimately, GRIS is four-to-five hours long at best, priced at a little over $15. Given my personal enjoyment of the title, the awesome aesthetics, as well as the fact I will definitely be revisiting GRIS again in the future, I think this price has value. But as always, this is between you and your wallet. 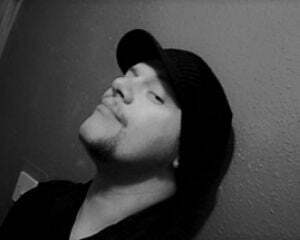 GRIS oozes creativity. Clever map layouts, beautiful visuals, and expertly executed sound design, all wrapped around a young girl's sad and surreal journal from the highest highs to the pits of despair. There is very little challenge offered here, just some exploration and puzzle-solving. But in GRIS, the aesthetics, the tale, and the themes are key. It's a journey to be experienced, not a challenge to be defeated. In a year rammed with 60+ hour games, perhaps we could use a brief step away from the endless cacophony of icon-swamped maps, crafting side-quests, and trigger-pumping firefights.